Yesterday was 90, today is 96, tomorrow is 100? Yea I know it’s summer but does it have to burn quite so much? Frankly, when the weather gets hot, my body feels much different – my energy is sapped, I get cranky, and my appetite? Nonexistent. Considering how much I like to eat, this is never a good thing in my book. So here are my nutrition-related remedies for perking yourself up and withstanding the hot weather without feeling weighed down. Lemon water. 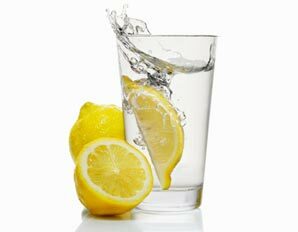 When the weather gets hot, I switch out my morning coffee for lukewarm water with lemon (or even cold water with lemon). I sip it pretty much all day, not only does it make you feel refreshed and your body feels clean and light, but it also helps detoxify your liver (perfect if you’ve overindulged at the beach the weekend before!). Iced green tea. 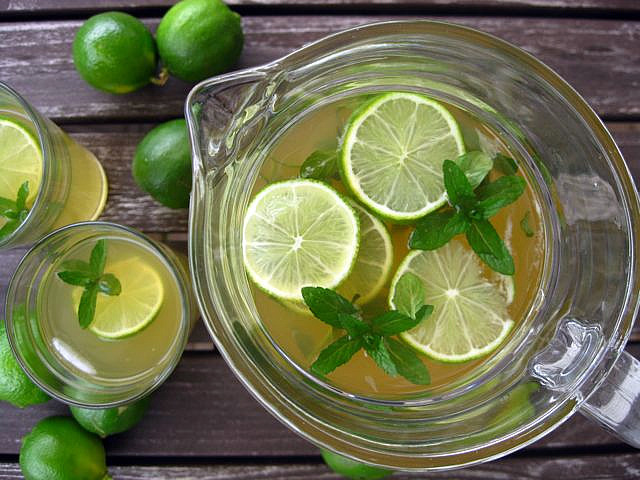 While the thought of hot tea or coffee is furthest from my mind, iced green tea not only cools you down, but it is chock full of antioxidant, lovely little compounds that do everything from protect you from disease to make your skin glow. Some controversial studies have even linked green tea to helping lower obesity, LDL “bad” cholesterol and improve weight loss- green tea may help with fat oxidation. But again, controversial – my take? I just like how it tastes and there are so many other good properties of green tea that it is definitely worth adding it to your daily repertoire. Greek yogurt. 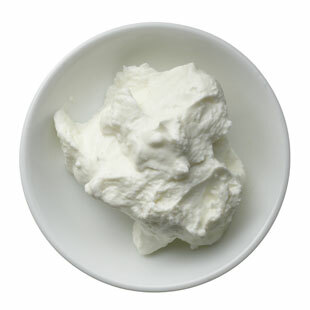 If you read this blog you know about my love affair with greek yogurt. Low in sugar, high in stick-to-your ribs protein and with a silky flavor, this is truly a miracle food. Particularly in the hot summer months, it is my go-to breakfast of choice — try throwing some ripe cherries or raspberries in it, or sliced banana for a banana cream pie flavor. Craving frozen yogurt? Combine greek yogurt, 1 tsp vanilla extract, and 1 tbsp agave nectar (also good with cocoa powder added). Place in little paper cups (like the kind you get at the dentist) with a popsicle stick in the middle. Stick in your freezer and enjoy! 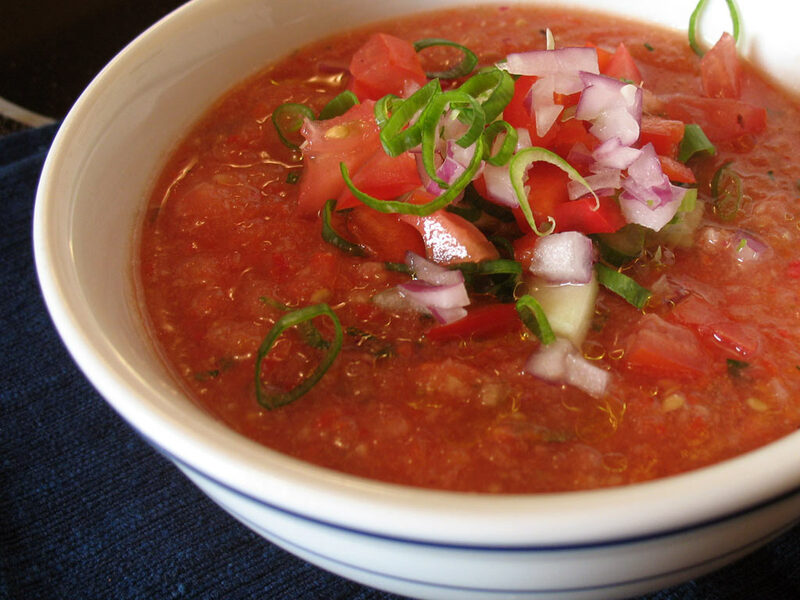 Gazpacho. This cold, refreshing soup is the literally the perfect summer lunch on a scorching day (add a slice of wheat toast with avocado slices and paprika for a complete meal). Tomatoes contain lycopene, an antioxidant that has cancer-fighting properties and compounds that help fight free radicals that can damage cells. Salads. Whether a fruit salad or for lunch, salads are the most refreshing thing to eat this time of year. Check out my previous post on my favorite quick summer salads for some great ideas. Above all, when the weather gets hot like this, drinking tons of water is your best bet at keeping safe and not getting overheated. Stay cool folks!